Congratulations go to Naomi McDonald, Ben Patterson and Caleb Ziebell who were selected in the Australian Country Merit teams following the Toyota Australian Country Championships. This is the second year in a row that Naomi and Caleb have been selected. 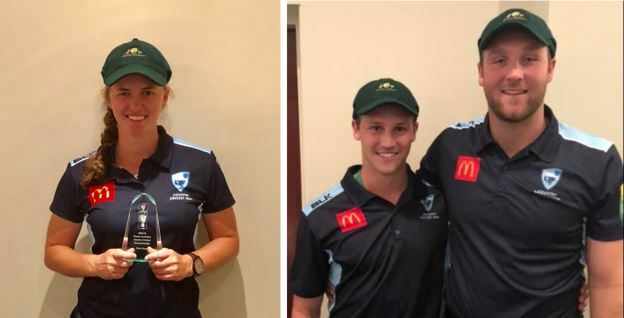 In other good news, the Bush Breakers skipper Kate Jackson was awarded the best fielder in the Women's Division, while Chris Archer received the same award in the Men's Division.